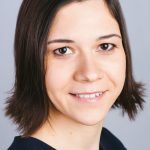 Nadia Morozova is an award-winning Analytics & Insights Expert, thought leader and a key-note speaker with 9 years of international experience that comes from Procter&Gamble, The Boston Consulting Group and Nestlé Group. Currently Nadia enables technology start-ups across Europe to unlock their growth potential via in-depth consumer and market insights. She is Analytics & Insights Mentor at Startupbootcamp for Commerce & IoT Programs. In parallel, Nadia is doing a PhD research in Behavioral Science & Consumer Neuroscience at Warwick Business School and University College London – internationally recognized leaders in this field. Her research is focused on emotional and cognitive traits of consumers decision making in digital & e-commerce. Nadia’s most recent corporate experience comes from the Nestlé Group’s (Cereal Partners Worldwide) HQ in Lausanne, where she led consumer insights for Europe region, being primary focused on the brand transformations around digital & social media and product innovation strategies. Before relocation to Switzerland Nadia worked as a Customer Insight Expert at The Boston Consulting Group in Paris. In her role she provided a full scale global case teams support, driving expertise in Digital Consumer Discoveries and Creation of Consumer Insights Function. Previously to joining BCG, Nadia spent 4.5 years in Procter&Gamble as a Consumer & Market Knowledge Manager in Geneva and Moscow. She was in charge of an enhancement of brand and go-to-market strategies bringing in-depth consumer, shopper and market insights. Nadia is strongly inspired by Insights capabilities building, actively sharing her expertise in various innovative areas of Consumer Insights – from Consumer Neuroscience to Mobile & Crowdsourcing research. Also, Nadia is a trusted expert in Digital and eCommerce. She is also very passionate about building bridges between academic and applied consumer research. Nadia’s outstanding business results as well as high fluency with innovative research capabilities have been recognized by ESOMAR First Prize Award for contributions provided to a start-up and 15 P&G global and regional awards. Nadia holds honours degrees in International Marketing (MSc, double degree with SKEMA Business School, Paris) and Psychology (BSc, Higher School of Economics, Moscow).